1. How does a “broad market” index of private infrastructure equity investments perform relative to a public equity market reference index? 2. Is there a difference between the risk-adjusted performance of contracted, merchant, and regulated infrastructure, or between investing in “project finance” vehicles and “infrastructure corporates”? 3. How much diversification of investment specific risk can be achieved in portfolios of private infrastructure equity investments? This paper presents the first results of an ambitious applied research project to create and compute fully fledged private infrastructure equity investment benchmarks. The indices we created span 14 European countries over 16 years, going back to 2000. They are built from a representative sample by size and vintage of the investable private European infrastructure market, and they include hundreds of firms over that period. 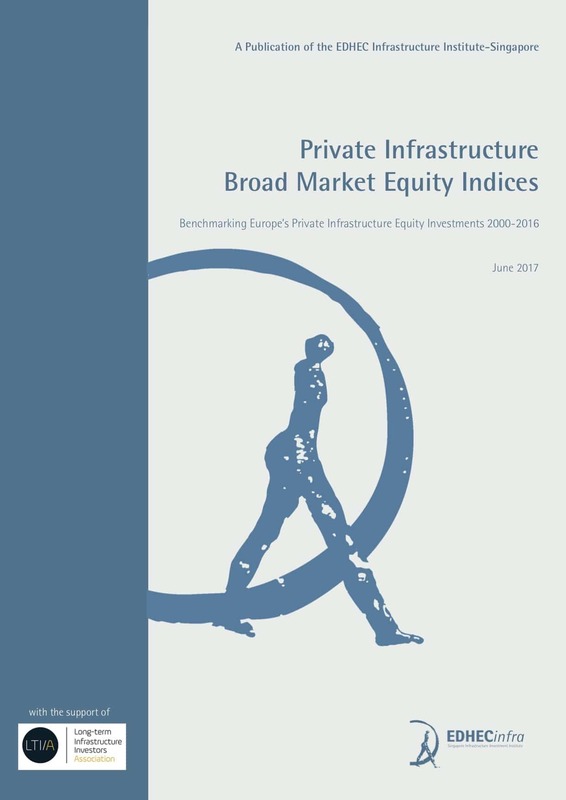 How does a “broad market” index of private infrastructure equity investments perform relative to a public equity market reference index? Is there a difference between the risk-adjusted performance of the three typical infrastructure business models (Blanc-Brude, 2014)–contracted, merchant, and regulated infrastructure– or between investing in “project finance” vehicles and “infrastructure corporates”? How much diversification of investmentspecific risk can be achieved in portfolios of private infrastructure equity investments? The first two questions have been at the centre of the recent debates on the definition of an “infrastructure asset class,” be it for asset-allocation or prudential purposes. The third one is essential to better understanding how asset owners and managers can aim to access this asset class and not be limited to a few large, active bets (alpha), thus contradicting recent paradigm shifts in asset and risk management, including the twin objectives to focus on passive investing and remunerated risk factors (betas). Empirical research in finance on private or unlisted investment often suffers from multiple biases created by the various sources of data available. If private data is contributed solely by a limited group of managers and investors, it is likely to over-represent the better, larger investments and very unlikely to represent the structure of the investable market in terms of country and sector distribution. We then build a representative sample for the whole region in line with country, sector, corporate structure, and business model distribution of all investable infrastructure firms (an approach known a stratified sampling). Thus, we avoid creating biases in the data collection by overweighting data made available by any one contributor. Once the relevant firms have been identified, in a second step, the relevant data is collected for a representative sample of the investable universe for which the best data can be collected. Hence, the use of data contributed by private investors is maximised but without creating sampling biases. For all other individual firms in the sample, we collect the relevant data from a range of public and private sources, including audited financial accounts, freedom-of-information requests, commercial databases, etc. Detailed financial information is collected for all firms in the market sample, from their incorporation date to year-end 2016 or their date of cessation of operations.  Following the EDHECinfra template, we collect data about each firm and each debt instrument identified as part of its capital structure. 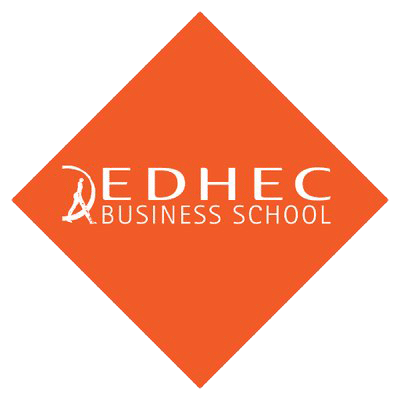 Firms are also the subject of a number of events,¹ firms and instruments also have individual attributes² and they are also attached to values (see Blanc-Brude et al., 2016, for a detailed discussion). This data is collected from multiple sources and aggregated, cross-referenced, analysed, and validated by a series of algorithms and a team of human analysts. Each firm’s data is reviewed iteratively at five different levels of validation including computer-generated and human checks. Over the 15-year period of this study, our market sample consistently represents at least 50% of the total asset book value of investable infrastructure firms in Europe, ensuring a significant degree of market coverage of the broad market index. Private infrastructure firms are seldom traded, and only a limited amount of market price data is available to observers. Hence, the risk-adjusted performance of the equity invested in each firm in the index sample is derived by forecasting cash flows or pay-outs to the equity holders, including any shareholder loans, fees, etc., and discounting them on the basis of 1) the volatility of future pay-outs forecast at time t, 2) duration (i.e., the remaining life of the investment), and 3) available price information in each period (including the initial value of the investment and comparable transactions taking place each year). Finally, after individual performance metrics have been obtained for each firm’s senior debt, a return covariance matrix is estimated for each index, and individual assets are aggregated following preset inclusion and rebalancing rules. A regulated infrastructure equity index with 65 live 2016 constituents and representing EUR171bn of capitalisation (70 firms over the period). Index constituents that have been included in the index at one point may have been removed from the “live” 2016 index because they reached minimum size threshold, went bankrupt and were liquidated, or were sold and merged following an event of restructuring. In order to best capture any infrastructure specific effects, we focus on the so-called fully hedged version of each index, which ignores the impact of foreign exchange movements on returns. Each set of index constituents can be broken down by infrastructure “business model,” currency, country of origin, industrial sector, or corporate structure. Figures 1, 2, and 3 show the composition of the broad market infrastructure equity index by country, sector, and business model, on a value-weighted and equally weighted basis. These IRRs are computed in the usual manner using all realised and forecast equity cash flows for all index constituents. It should be noted that the time-weighted returns computed tend to be higher than the index IRRs. The IRR, which is a money-weighted computation, should really be compared with the value-weighted index returns. The IRR also implies (by design) increasing per-period discount factors, whereas we estimate a term structure of discount factors which reflect the de-risking of infrastructure investments over time. As a result, reported time-weighted returns include a share of expected capital appreciation, which the standard IRR formula cannot capture. Tables 1 and 2 provide more details about the risk-adjusted performance of private infrastructure equity for projects and corporates at different horizons, on a value-weighted and equally weighted basis, respectively. Our broad European market private infrastructure equity index compares favourably to a public equity reference index. It provides greater performance and lower risk, including lower value-at-risk (not shown here). As a result, it exhibits an attractive risk-reward profile. Moreover, certain segments of the private infrastructure universe have contributed most of this performance, namely, infrastructure projects, and contracted infrastructure. The latter two often overlap, and as well as corresponding to a relatively lower-risk business model, they tend to be smaller in size than other infrastructure firms. Hence, indices built with such assets tend to diversify better and faster. This effect leads to higher returns and lower portfolio risk measures. Our third question was concerned with the role of diversification in private infrastructure investment portfolios. Diversification is always desirable, but it can come at a cost when assets are bulky, deal times long and uncertain, and fixed transaction costs high. As a result, most infrastructure funds make between 6 and 12 investments in their lifetime, and asset owners favouring so-called direct investment, tend to do large transactions and to own between a dozen and a few dozen infrastructure assets (see Blanc- Brude, 2013, for a discussion). Having built broad market indices including hundreds of assets in some cases, we can now observe the impact of diversification on infrastructure portfolios of various sizes and degrees of concentration. We can also observe the difference between two ideal-type weighting schemes: on a value-weighted basis, the index represents “the market” in the standard acceptance of the term; on an equally weighted basis, each constituent makes exactly the same contribution to index performance at all times. Today, neither of these strategies are accessible to asset owners or managers. Nevertheless, they provide us with a better understanding of the upper and lower limits of what infrastructure investors might expect from greater portfolio diversification. Figure 6 shows the distribution of asset level return volatilities over the entire observation period. We note that the asset-level volatilities we measure are not “smoothed”³ and can in fact be quite high, sometimes higher than 100%. Indeed, one of the results of our cash flow modeling and forecasting for equity investors is that infrastructure equity payouts are quite variable both in size and frequency. Instead, risk measures are considerably reduced at the index level, due to the highly idiosyncratic nature of the volatility of infrastructure assets. Hence, as assets are aggregated in value-weighted and equally weighted portfolios, the average level and the dispersion of portfolio risk measures are considerably reduced. Figure 7 shows the relationship between the “effective number of bets” or ENB 4 of each of the 192 EDHECinfra private infrastructure equity indices in 2016 and the standard portfolio risk measure of each index, which combines the weighted return volatility of each index constituent with a pair-wise covariance matrix of asset returns. In value-weighted portfolios, the ENB is lower than the number of portfolio constituents. In an equally weighted portfolio, by design the ENB must be equal to the number of constituents. Figure 7 confirms that the impact of diversification on the portfolio risk measure is significant, and that the higher Sharpe ratios achieved by contracted and project indices as well as equally weighted indices are the result of lower risk measures achieved through diversification at the portfolio level. We note that substantial risk reduction appears beyond 50 constituents, a number of assets that few infrastructure asset owners or manager can hope to achieve today. Indeed, achieving such levels of portfolio diversification is a genuine challenge. Building a large portfolio of infrastructure assets requires a large budget and can take many years.  Moreover, investing on an equally weighted basis, let alone using a more risk-efficient weighting scheme, is virtually impossible, given the heterogeneity of deal sizes and the discrepancy between the illiquidity of individual constituents and the frequent rebalancing requirements of equally weighted schemes. Still, these results show that achieving only limited levels of portfolio diversification is not a trivial problem for investors. The opportunity cost of not doing so in a private infrastructure equity portfolio may in fact be very large as well. In the absence of well-diversified infrastructure products, most infrastructure investments thus become very active, concentrated bets, and it becomes much more difficult for investors to have a view on infrastructure investment at the asset-allocation level. With these results, which will continue to be updated and expanded over the coming years, we created the ability to measure the risk-adjusted performance of private infrastructure equity investments on a comparable basis with other asset classes. This research allows asset owners and managers to begin to evaluate how they might better access infrastructure investments, so that infrastructure investing can become a means to an end and help them meet their investment goals. The idiosyncratic nature of risk in infrastructure investment is one of the initial appeals of what is called the “infrastructure investment narrative” (Blanc-Brude, 2013): infrastructure businesses are expected to exhibit low correlation with the business cycle and help diversify the rest of the portfolio. But the large and illiquid nature of these investments also creates a significant diversification challenge within the asset class; one that asset owners should not ignore. In effect, the coveted investment narrative, which our broad market indices confirm the existence of, may seem slightly out of reach to most investors if it requires being exposed to hundreds of infrastructure assets. Delivering the benefits of the infrastructure investment narrative to investors will require the development of new investment products and solutions that can create exposure to a broad base of assets and, at least in part, aim to replicate the characteristics of the infrastructure market. Full results for 192 indices can be seen at benchmarks.infrastructure.institute/equity/, where you can download index factsheets, data, and constituents. 1 – E.g., incorporation, construction start and completion, operational phase start, defaults, refinancing and restructuring, prepayments, end of investment life, etc. 2 – E.g., for firms, business model, type of regulation, contracted or indexed nature of inputs and outputs, etc. ; for instruments, seniority, currency, repayment profiles, interest rates, maturity date, etc.